"Church" is not best defined as a building, but rather as PEOPLE. Who is in the middle of c-h-U-R-c-h? Yes, U R! In this section, we highlight these people who make up our communities. 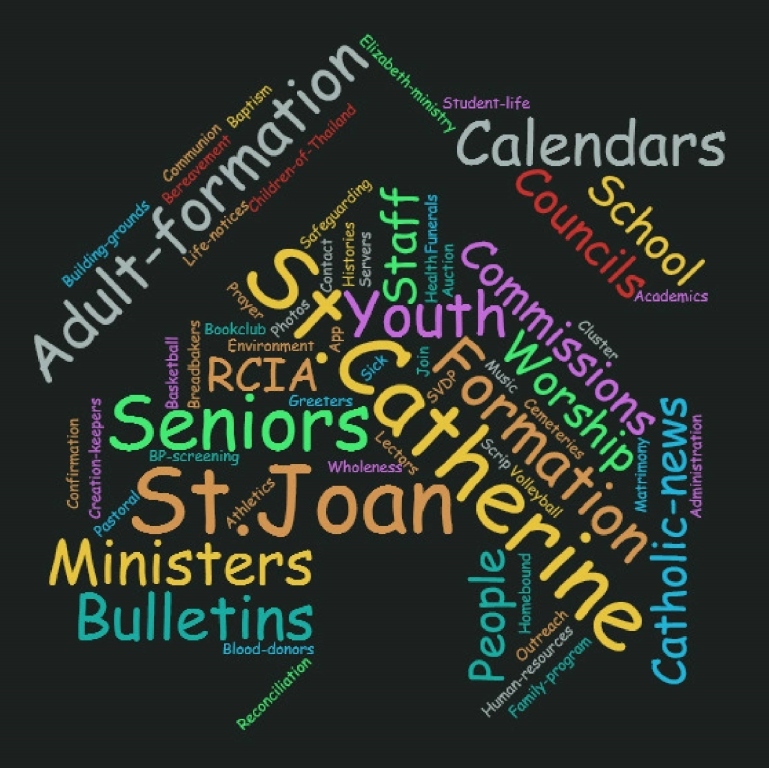 We have a listing of our STAFFS: some serve only at St Catherine, some serve only at St Joan (either for the parish at-large or in the school), and some serve at both parishes in our cluster. As with any Family, we have plenty of PHOTOS and stories of our HISTORIES and notices of our members who have passed to a New Life. We list here and elsewhere on the site the Archdiocesan SAFEGUARDING PROGRAM, a process required for all adults who work with our children, so that we can confidently provide a safe environment in all we do.And finally in this section, we proudly list our SUPPORTERS, those businesses that buy ad space in our bulletin and on the website. Take a moment to review them, and say thank you when you take advantage of their services.